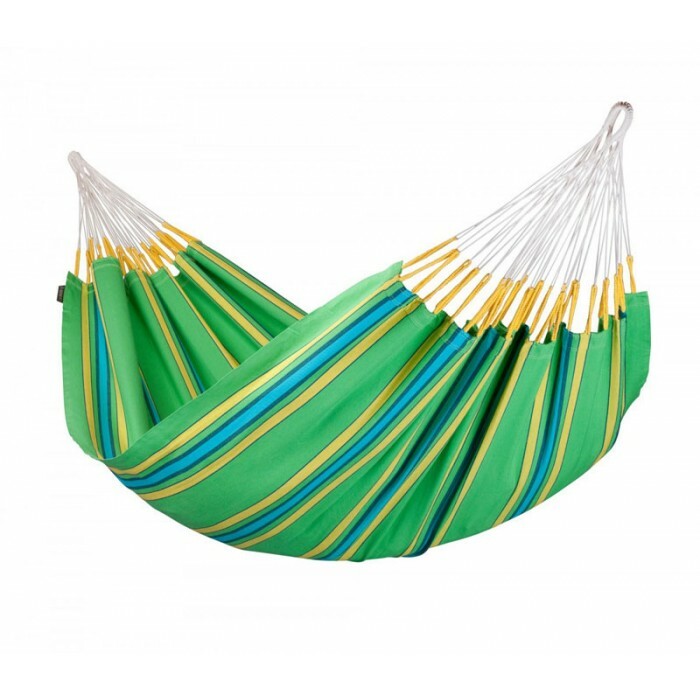 Our hammock line Currambera with its wide range of available colours (cherry, blueberry, kiwi, apricot) and large variety of products (single hammock, double hammock, hammock with spreader bars, hammock chair Basic, hammock chair Lounger) is particularly popular. 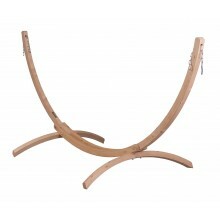 Double hammock Currambera apricot is made of pure, high-quality cotton. 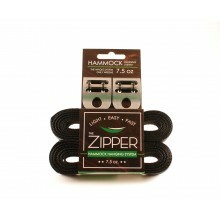 It is from Colombia, where hammocks have always been an essential part of everyday life. A typical characteristic of all hammocks manufactured in Colombia is the open-loop-suspension. 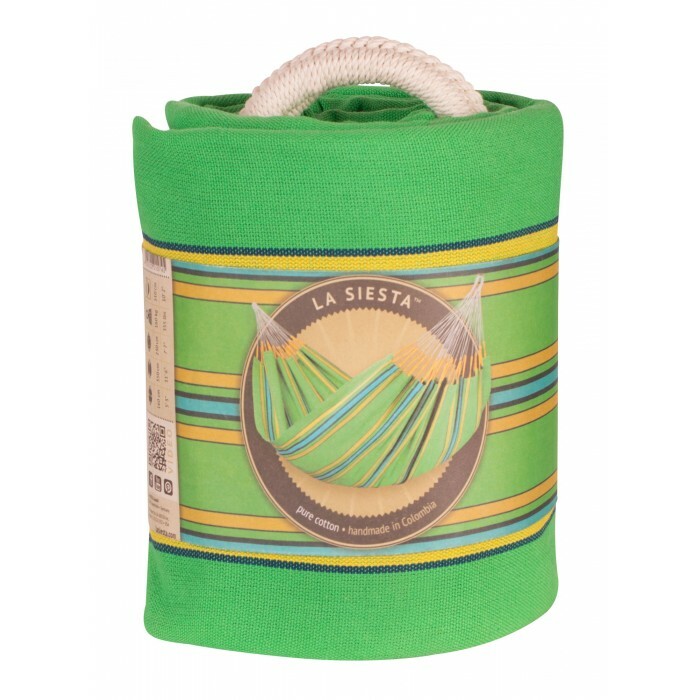 This hammock features a tearproof selvage created by doubling the weft threads, thus making sure that you will be able to enjoy your peaceful LA SIESTA oasis for many years to come. 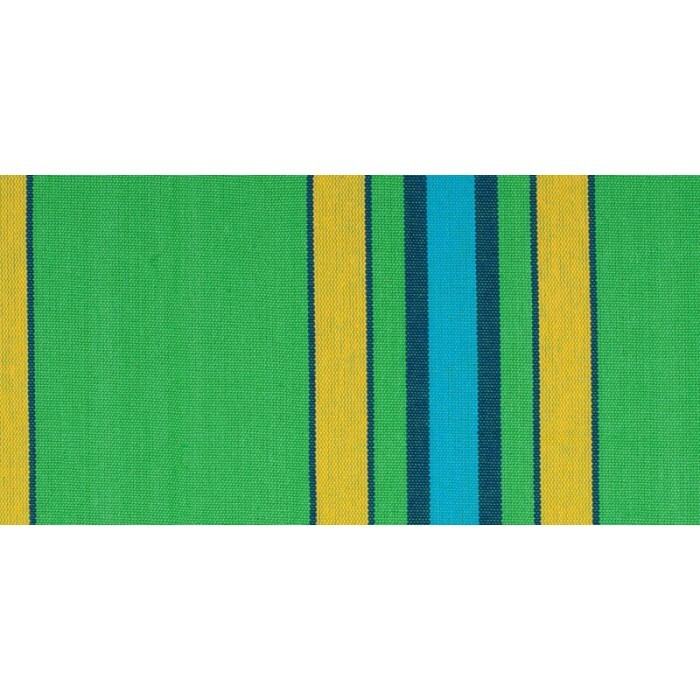 The fabric of our Currambera line is densely woven and colour-fast. 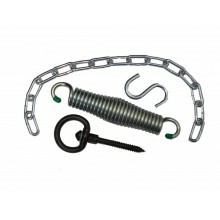 A significant number of suspension cords ensures an even distribution of weight. Pure cotton is a material that is very soft to the touch, comfortable, tearproof and durable. Its long fibres give colours room to shine.